What would they do if they didn’t have to pay for college? “Tutor teenagers to improve their study in my free time,” one wrote. “Start a small business,” another said. “Support my family in Mexico,’’ wrote a third. I did not fully appreciate how modest these sentiments expressed by LaGuardia Community College students were until later this week, when protests over racism roiled the elite campuses of Yale University, Ithaca College and the flagship University of Missouri. 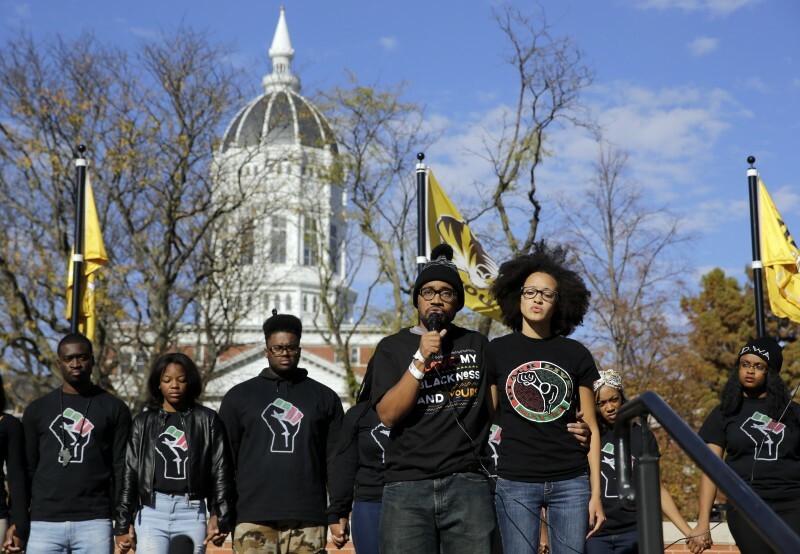 Students said they felt unheard, marginalized and unsafe, and in the case of Mizzou, their anger at the administration even ousted the president. At LaGuardia, the posted messages gave me a glimpse of students we are all less likely to hear from or about, a population studying mostly in the shadows, even as their numbers – and their needs – grow. Stories of poor students quietly struggling to make ends meet and achieve a better life don’t make viral videos and boldface headlines, even though the obstacles these students overcome daily show the flip side of racial inequality on American campuses. Tuition at LaGuardia is a bargain compared to many private and public four-year universities, but it’s still a burden for the college’s nearly 49,000 full and part-time students, many of whom work full time while attending school. The majority have incomes of under $25,000 annually, whether they live with parents or without. They come from than 150 different countries and speak over 111 different native languages. None of them live on campus: their college experience is stripped down, a conduit to degrees, skills and jobs. Whites are in the minority at 14.9 percent. The majority (42.3 percent) are Hispanic; some 20.1 percent are black. That’s a stark contrast to Yale, where just 9 percent of undergraduate students are black, 9 percent Hispanic, 23 Asian and where whites make up 68 percent of the student body (students reporting two or more races are counted once in each race). At Mizzou, just 8 percent of undergraduates are black; at Ithaca they represent just 5 percent. And while I wasn’t expecting the kind of student protests happening elsewhere, I did wonder if professors might show up to demonstrate; they’ve been working without a contract since 2010. Earlier this month, CUNY faculty and professional staff blocked the entrance to the midtown Manhattan administrative offices as part of a demand for salary increases. Gail Mellow, LaGuardia’s energetic president and organizer of the panel discussion, said she doubted they would come to protest, although she welcomed them. I also asked if we should be prepared to discuss academic freedom, trigger warnings and safe spaces, as so many other campuses are doing. “Our students don’t have time for that,’’ said Mellow, author of “Minding the Dream,” and, more recently “Taking College Teaching Seriously.” She noted that many of her students are working two or even three part-time jobs while in school. At first glance, LaGuardia’s students appear to have little in common with the Ivy-League students who shouted down Nicholas Christakis, a sociologist and physician and the master of Silliman College (seen in this video) after he defended his wife’s email about Halloween costumes; students who live in “safe, heated buildings with two Steinway grand pianos, an indoor basketball court, a courtyard with hammocks and picnic tables, a computer lab, a dance studio, a gym, a movie theater, a film-editing lab, billiard tables, an art gallery, and four music practice rooms,” according to an Atlantic article. RELATED: Why are community college graduation rates so low? There is some commonality though. These students occupy two very different sides of the same problem that leaves minority students disenfranchised or left out of pipelines to power and money in America. Black and Hispanic students say they feel like underrepresented outsiders at top-tier colleges. But they are overrepresented at institutions where resources are limited, amenities scarce and outcomes uncertain. 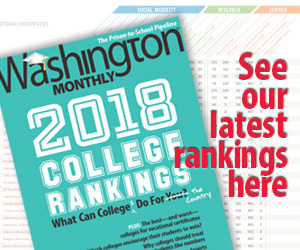 At community colleges – which educate nearly half of all U.S. students – the vast majorityÂ arrive unpreparedÂ for college-level work, with 60 percent or more steered into remedial education, according to Thomas Bailey, director of the Community College Research Center at Teachers College, Columbia University. (The Hechinger Report is an independently funded unit of Teachers College.) Some 40 percent of community college students are first-time freshmen; their average age is 28. Nationally, over 10 million students are enrolled in community colleges and someÂ 54 percent work more than 20 hours per week. Among its peers, LaGuardia stands out for sending its graduates on to four-year schools at three times the national average; the school claims that its graduates will increase their family income by 17 percent. I learned even more from the school’s faculty and students after Monday’s panel discussion; no protestors interrupted it. In small groups, faculty talked openly about their love of teaching and the many challenges they and their students face. Professor Hector Fernandez, a New York City-born former banker and lawyer who once dropped out of high school, told me he left those high-paying careers to become a teacher because LaGuardia students reminded him of himself. Professor Tonya Hendrix, who studies epithelial cells and the effects of antioxidants on the development of white blood cells, talked about how so many of her students drop out, sometimes because they aren’t academically prepared, and other times because they are simply overwhelmed by work and home responsibilities. In the next few weeks, protests about the racial problems at four-year colleges and universities throughout the U.S. are likely to continue. As more students pour out their frustrations and anger on social media, it is possible students at LaGuardia will get caught up in the debate as well. In the meantime, they’ll continue to dream of tuition-free college. Related: How can Mizzou heal? 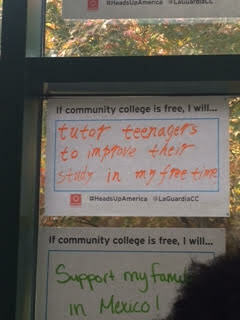 Before leaving LaGuardia, I took a last look at answers posted in a hallway window, which students placed there after a visit from community college professor and Second Lady Jill Biden. She had been campaigning in support of the Obama administration’s proposal to make community college free.